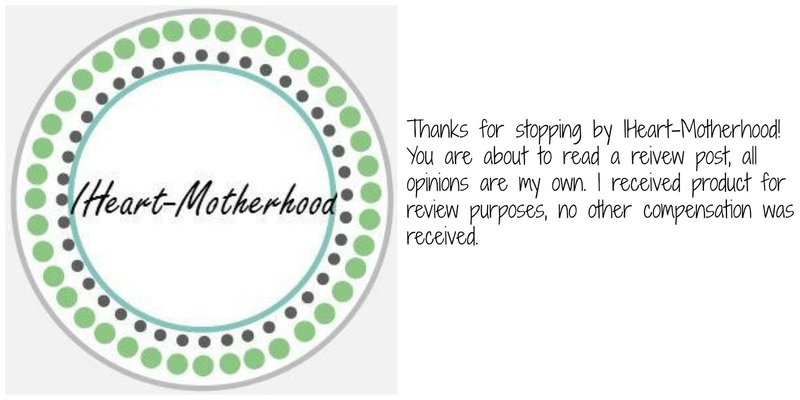 Today I am featuring Konfidence in the Fun in the Sun event hosted by the Thrifty Nifty Mommy Blogger Network! For a list of all of the giveaways in this event, visit Open Hands! Konfidence is a family business that started in 1998 in the United Kingdom, they create safe & protective swim wear for the family! 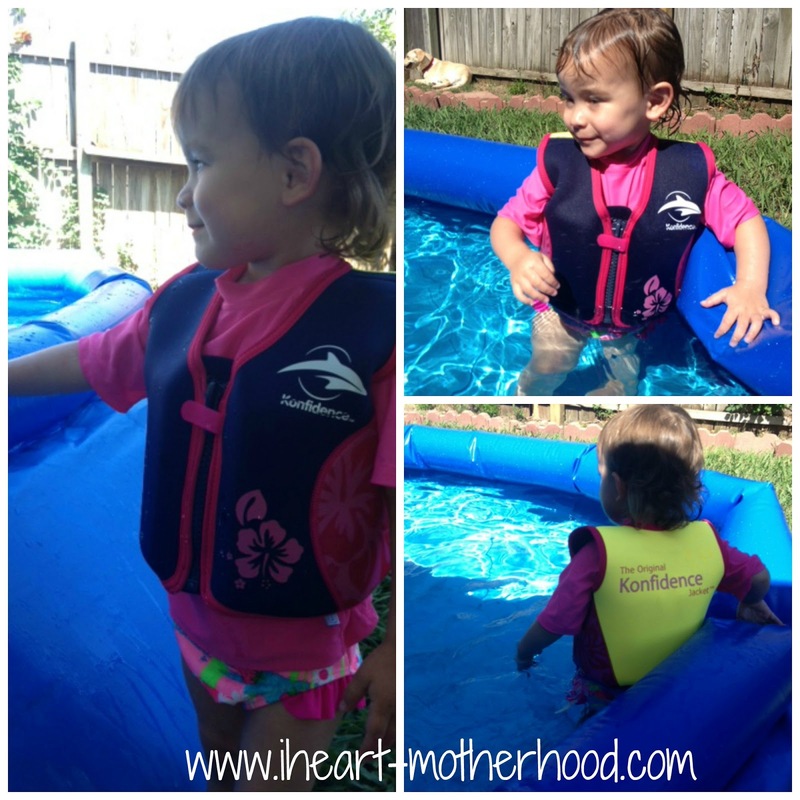 Summer is here & that means pool, water park &/or beach time for your family, safety is the most important thing when entering the water & Konfidence has you covered! With the Texas heat, we try to get in the water at-least four days a week during the summer. Having the proper safety & flotation device when we are in the pool is so important & I was super excited to introduce Little Sister C to her new Konfidence Jacket! The Konfidence Jacket features eight removable floats, allowing parents to adjust the buoyancy levels as their child becomes more comfortable & confident in the water. 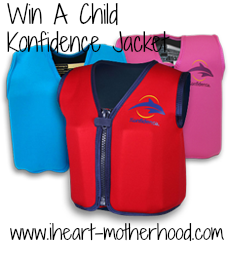 This Jacket helps promote a correct swimming position for your child & is made of high quality, neoprene shell with a soft Lycra/Poly interior. Little Sister C loves her new Konfidence Jacket, it fits nice & snug & doesn't move around when she is in the water, it's easy to put on as well! You can find Konficence Jacket's in a variety of colors & they have two new colors for 2013, Pink Hibiscus & Navy Palm! We've really enjoyed having the Konfidence Jacket for Little Sister C, she is new at swimming so this couldn't of arrived at a better time! Along with The Original Konfidence Jacket you can find child wetsuits, UV shirts & shorts, reusable swim diapers & more online at Konfidence! Buy It: Purchase your own Konfidence Jacket online! Win It: One lucky reader will win a Konfidence Child Jacket! My daughter would love the Aquaband. I like the Child UV Long Sleeve Sunsuit, too! I also like their New UV Hat in Blue. The Babywarma would have been nice to have when my daughter was that size. Really like the blue clownfish floatsuit cute! my son needs a UV shirt! I like the UV shirt and shorts!